Posted June 1, 2015 by Denise Jenkins & filed under Uncategorized. Many people equate summer travel with vacations – maybe to the beach, or a resort, or a theme park destination. But summer travel isn’t always so exciting for those on the road for business. 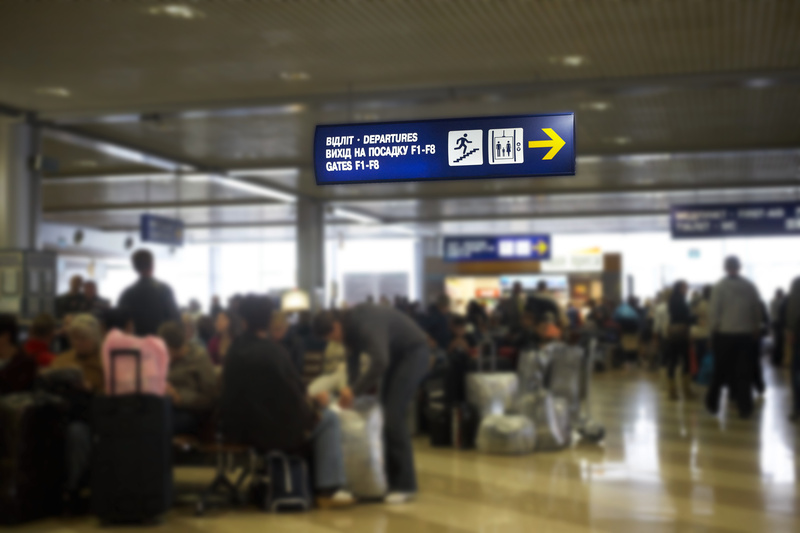 If this sounds like you, you’re not alone…and you certainly won’t be alone in the airports, hotels and security lines! Give yourself plenty of time. June through August is the busiest time of year for airlines, so airport lines can seem more like parking lots for many travelers. Keep this in mind prior to leaving for the airport and give yourself lots of time to get through the crowds. Try to stay flexible. Sure, plans can’t often be reworked at the last minute, but be aware that summer is not only the busiest time for travelers – it’s also the busiest time for tropical storms and other forms of severe weather! Try to have a backup plan in mind whenever possible. Avoid checking baggage. Sometimes you can’t help but check bags, of course – but if you can avoid it, do so! Imagine being able to breeze past those packed luggage carousels once you leave the plane…not to mention eliminating the chance of your bags being lost. Use those points. If you have points or loyalty rewards saved up, now’s the time to use them! This can help you avoid crowded coach seating, or upgrade you to a more pricey (and less packed) hotel. Make technology your friend. Doing your research on the best travel apps in advance will go a long way toward making your trip more enjoyable. Whether you want to know more about a new airport’s layout, or the best places for dining on the road, or the most efficient way to get from point A to point B, you’re bound to find an app for it. And don’t forget that if you need any help with passport and visa services, Iratex is here to make sure your trip goes off without a hitch!